A bomb set off in a Bangkok hospital, injuring 24 people according to the police. Bangkok: A bomb blast at a hospital in the Thai capital, Bangkok, wounded 24 people on Monday, on the third anniversary of a 2014 military coup. There was no claim of responsibility for the blast at the Phramongkutklao Hospital, which is popular with retired military officers. "It was a bomb. We found the pieces that were used to make the bomb," Kamthorn Aucharoen, commander of the police's explosive ordnance team, told Reuters. "Right now, authorities are checking out closed circuit cameras." Government spokesman Sansern Kaewkamnerd said 24 people had been wounded. Most of the wounded were hit by flying glass, the military's national security unit said. Suspicion is likely to focus either on political dissidents opposed to military rule or Muslim separatists based in the south of the predominately Buddhist country. Soldiers cordoned off the hospital's entrance, a Reuters reporter at the scene said. Deputy national police chief General Srivara Rangsibrahmanakul said the bomb had been hidden in a container by the entrance of a pharmacy. Monday is the anniversary of a May 22, 2014, military coup that toppled a democratically elected government and ended months of unrest, including sometimes deadly street demonstrations. Since the coup, the junta, known as the National Council for Peace and Order, has clamped down on dissent and ramped up prosecutions under sedition and royal defamation laws. The military has always played a prominent role in Thai life but since the coup it has become embedded in society with military men more entrenched than under previous governments. The military government has acknowledged it wants to weaken political parties and maintain permanent influence over elected governments, partly through a new constitution approved by the king last month. An election is due by the end of next year. The blast comes weeks after a car bomb at a shopping center in the province of Pattani, near Thailand's border with Malaysia, which wounded 61 people, and which authorities blamed on the Muslim insurgents. The far south of Thailand, which includes Pattani, Yala and Narathiwat provinces, is home to a long-running separatist insurgency. Earlier on Monday, a bomb went off in Yala, one of the Muslim-majority provinces in the restive south, wounding military officers. Attacks by the Muslim rebels have largely, though not always, been confined to their southern heartland. On May 15, a small bomb went off near the National Theater in Bangkok's old quarter, wounding two people. It was not clear who was behind the bomb. 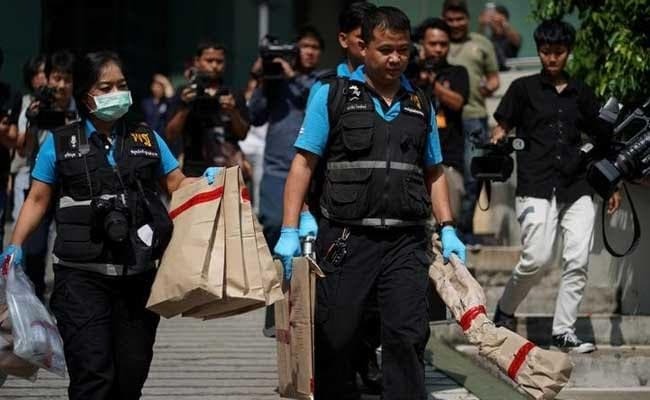 New York-based Human Rights Watch said it condemned the hospital attack as "a cruel and inhumane action which grossly violates human rights", Sunai Phasuk, the group's senior Thailand researcher said on Twitter.